Set of 3 different styles of linking manipulatives. 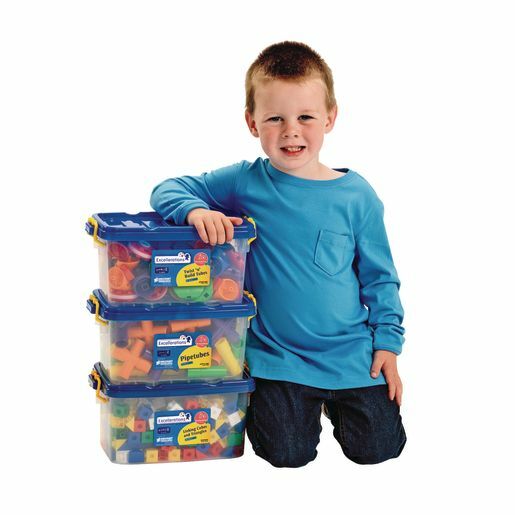 Building sets encourage creativity and imaginative play! Largest piece measures 2-5/8"Sq. x 7/8"Dia. *Each piece measures approximately 3/4"
*Little hands will love building, experimenting on a light table or light panel with translucent linking discs. *Build open ended structures, houses or vehicles. *180 small discs 1-1/2" Dia. *180 large discs 2-1/2" Dia.